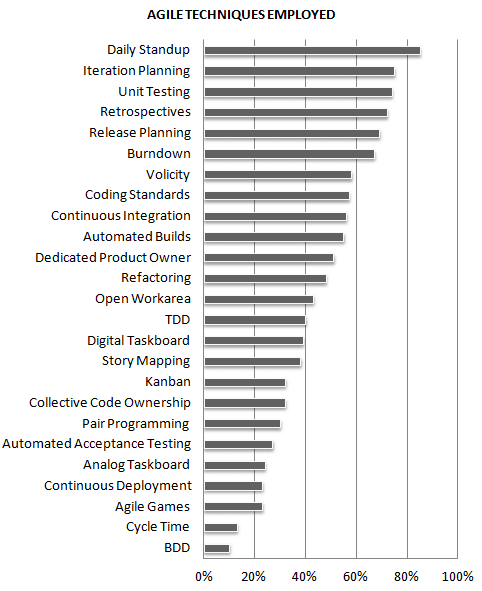 Every year VersionOne performs a worlwide survey about the state of agile development. This is the subject of today's post. To elaborate this study 4,048 IT professionals were interviewed. Among them, more than 80% worked in Software Development or the IT department of their employers. 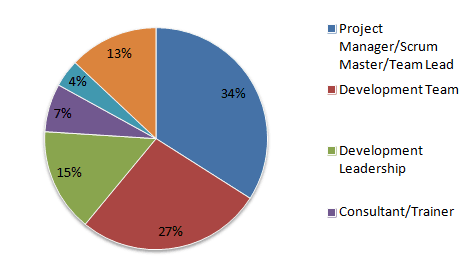 Respondents were most commonly project managers, scrum masters and team leads, followed by software development team members. The chart below shows these profiles. Let's take a look into some interesting charts and compare these data with the results of the same VersionOne survey from 2 years ago. We can see that half of the companies are using agile techniques in more than 50% of their projects. Comparing to the 2 years ago survey we see a similar scenario, with this percentage at 47%. 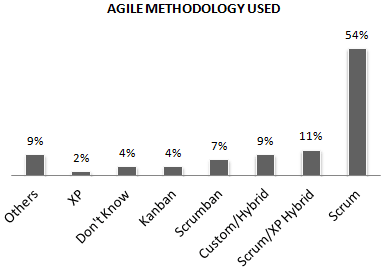 The Scrum are still the most popular agile methodology being used, followed by Scrum/XP Hybrid and Custom Hybrid. On the other hand we note there are agile techniques relatively simple to be applied (do not require huge infrastructure) not being much used, such as refactoring (48%), collective code ownership (32%) and pair programming (30%). Even for the digital taskboard (39%) we have resources, there is ScrumHalf! 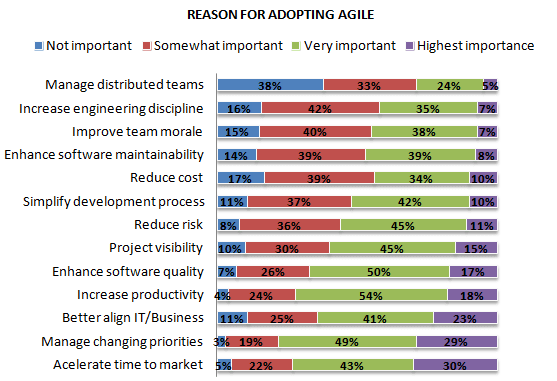 Finally, each respondent answered the main reasons to adopt agile methodologies in your team or organization. The bottom 3 answers in the chart were considered more important. We can see most responses centered on better customer focus.